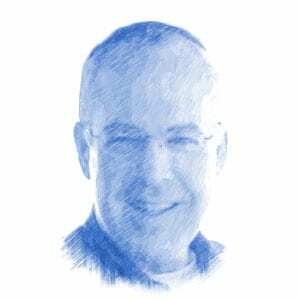 Jonathan Feldstein, Author at Breaking Israel News | Latest News. Biblical Perspective. When I read about Mitchell, Jewish and Israeli newspapers were filled with accounts of his life in obituaries that heaped praise on his heroism, and that of others like him. Each year I try to think of how to depict Memorial Day in Israel in a way that’s meaningful and juxtapose it in relation to how it’s observed in the US. Many thoughts race through my head. And each year I see Memorial Day through a different prism. It’s safe to say that every year since the Holocaust ended, one could safely say Holocaust commemoration and education has never been more important. But the answer is not burning and destroying, but growing and building. Until, and if, Israel’s Palestinian Arab neighbors ever comprehend and embrace that, at best all they can hope for is half of a dead baby. This past week Israel commemorated the 70th anniversary of one of its most heroic, sad, and yet pivotal battles in its early struggle for independence, among ongoing battles to defend itself until today. Scores of communities in Israel, the UK and the rest of the world are marking the 100th anniversary of Balfour. As much as Israel is unique in so many ways, there are many ways in which Israel is just like every other country, like the vision of Zionist leader Theodor Herzl. This will provide a basis for their legacy, and yours, and how you do this in the coming year will make it to the list to the One who matters. Recently I got to spend more time over one week in Jerusalem’s City of David than I’ve spent there in the past 3000 years. Among Jews, there’s heightened concern about a rise of anti-Semitism.